The last 20 years of MBA education has taught you that B2C marketing programs are more focused on product and brand, and that B2B marketing programs tend to be more focused on service and service delivery. Welcome to the new day, which consequently happened several years ago. Especially with small businesses, the lines blur significantly when it comes to B2C vs. B2B. Personalized service and a seamless experience is expected around every corner, rightfully so. With larger companies, there is a noticeable difference in experience delivery – expectations are much more clearly set around what the experience looks and feels like before the businesses decide to work together. The challenge we are facing now is that the expectations we have of the consumer experience are bleeding into our business worlds – everyday, the lines get blurrier. Everyone seems to be expecting more, and rightfully so. The remote control no longer sits with you all of the time. If you’re lucky, you get to control the channel surfing madness half of the time. So how do you design a customer experience management program that suits your customer’s needs? It doesn’t matter where your customers are from or what corporate vendor past they’ve had – if you set (or reset) expectations correctly upfront about the kind of experience you commit to delivering, there is no “should” or “might”, just “will”. From there, it’s up to you to deliver what you promised. The old analogy of apples and oranges stands. 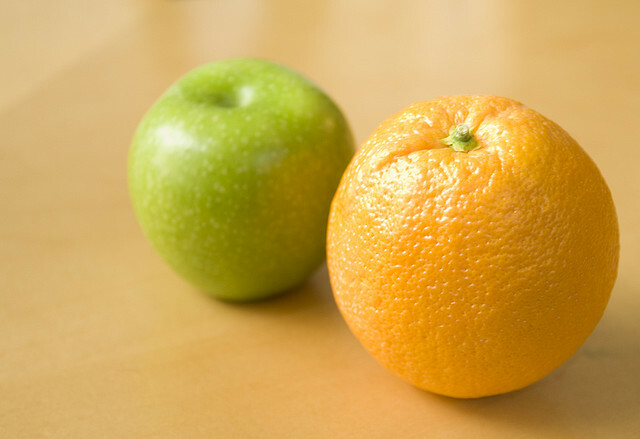 Especially here: apples and oranges may be different, but in the end, they are both fruit. And you know what you are going to get when you bite into a piece of fruit…most of the time. Customer Experience Truth #14 – B2C and B2B Customer Experience Management Programs are very different, but still fundamentally the same. Next, we’ll discuss Customer Experience Truth #15 – You Are Never Done With Improving Your Customer Experience. This post is 15 of 16 in a Series on CXP Fundamentals. Read more about CXP Bootcamp here.